A beautifully etched design 1 carat three stone diamond engagement ring crafted in 14k solid white gold, from Apples of Gold Jewelry. 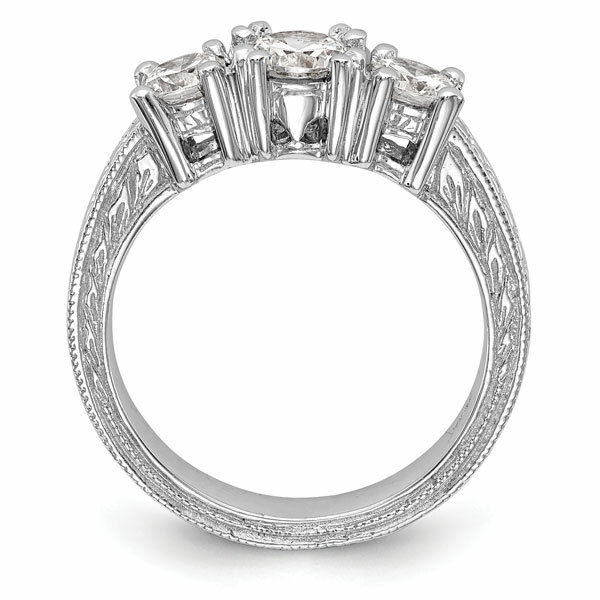 The design engagement ring is set with a 0.50 carat (minimum) diamond center stone and two 0.25 carat diamonds on each side for a total of 1 carat minimum engagement ring. Diamond quality is a clear, clean sparkling H Color, SI Clarity. You won't be disappointed with the quality, but we always have D-G Color, VS clarity diamonds available also by request (simply ask)! 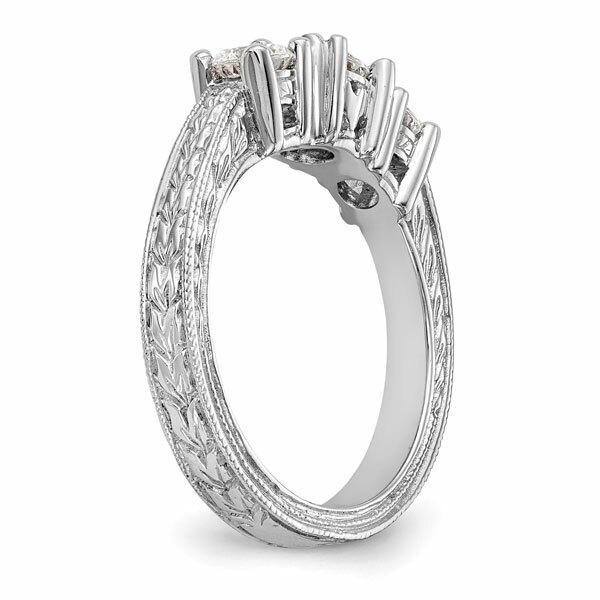 The band of the ring measures 3.27mm wide at widest point and tapers to 2.80mm with a head height of 6.87mm. The ring weighs approx. 5.41 grams of 14k solid white gold. Available in women's sizes 5-9. 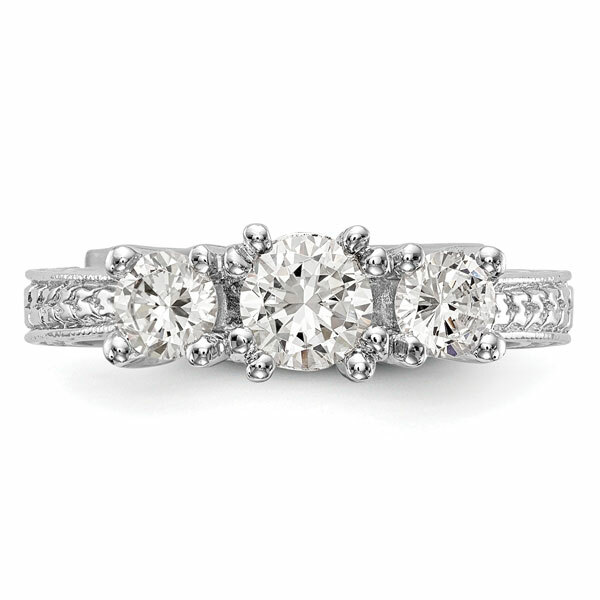 Three stone diamond engagement rings represent your past, present, and future with your husband! 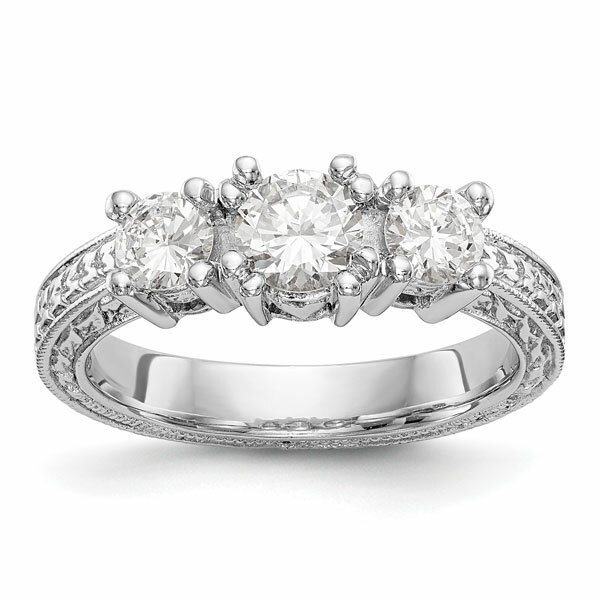 As such, three stone diamond rings are among not only the most beautiful, but also meaningful of rings. 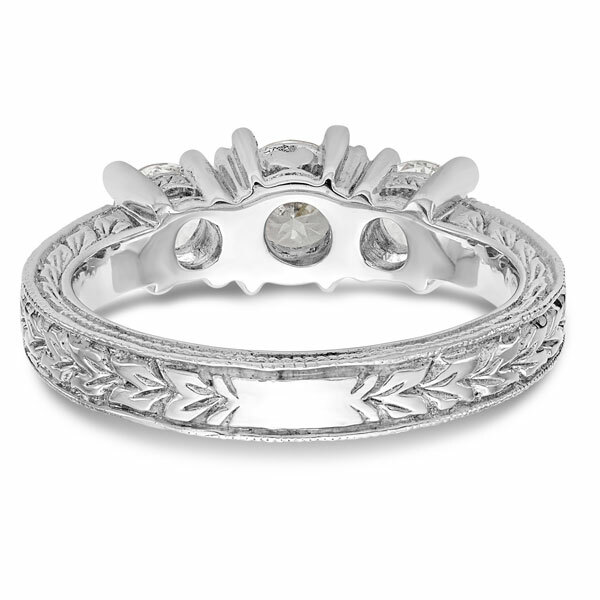 Apples of Gold Jewelry guarantees the 1 Carat Etched Three Stone Diamond Engagement Ring to be of high quality and an authentic engagement ring with real diamonds, as described above.